The major issue for premature failure in wind turbine gearboxes is bearing failure, which leads to gearbox failure. A wind turbine gearbox will not survive if the oil is not clean and especially if the hard ferrous particles are not removed from around the bearings. 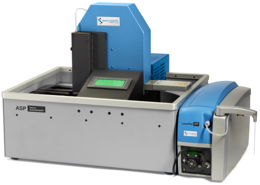 The LaserNet 230 particle counter and ferrous debris monitor has been shown to be an excellent analytical tool for end users to be able to diagnose wear faults in various machine applications such as gear boxes, engines and transmissions. The wear generated in a wind turbine gear box is a function of load, speed and lubricant condition. The lubricant must be correctly specified for the turbine gear box’s idealized operating load and speed and its condition must be carefully monitored in order to maintain the required lubricant film thickness in these regimes. Ever-changing wind conditions and large variations in climates make wind turbine condition monitoring extremely challenging. As a result careful continuous automated monitoring of these critical and expensive assets is required. 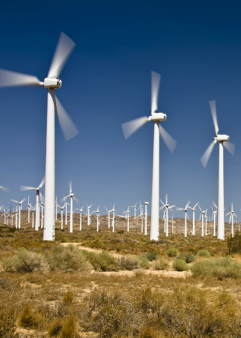 The National Renewable Energy Laboratory (NREL) is an existing user of the LaserNet Fines® (LNF) technology in drive train wind turbine monitoring. They have demonstrated and recommended that condition monitoring using the LNF is critical to avoiding premature failures in wind turbines. By coupling a fully equipped LaserNet 230 with ferrous capability to an automatic sample processor (ASP), a full tray of 24 heavy (320cst) windmill gear oil samples can be analyzed in ~2.5 hours. This is continuous operation including sample preparation, and system cleaning. To read more about automating oil particle analysis and ferrous monitoring, click here.